Manufactured in Japon from 1975 until 0. 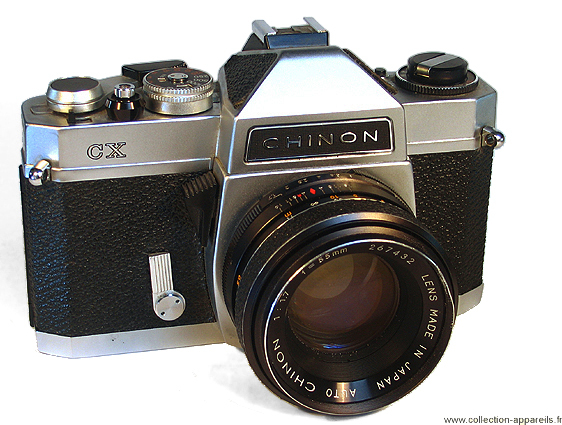 Chrome variant of Chinon CX. This camera is equipped with a button allowing multiple exposures, located on the top, in front of the film advance lever and the battery checking knob on the top between the prism and the film rewinding crank. This camera was also sold by Foto Quelle under the references Revueflex 2000CL and 3000 SL.